The flat roofing on commercial and industrial establishments like warehouses or factories is usually referred to as commercial low slope roofing. While installing commercial low slope roofing, drainage of water needs to be considered, as it is not as efficient as in steep sloop roofing. Sometimes, a gravel layer is applied on the rubber sheet to provide insulation and treatment to the commercial roof. Such roofing treatment is strong enough to allow human traffic. 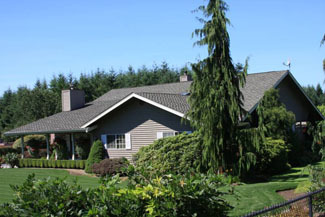 We at Johnson Exteriors, Inc. specialize in the installation of commercial low slope roofing offering services in South Hill, WA. Our qualified technicians use the latest technology and best materials for commercial low slope roofing for South Hill residents. These synthetic polymers, when applied, create an aesthetic, strong, weather- and water-resistant commercial single ply roofing. We have the perfect infrastructure for installing commercial single ply roofing on South Hill properties. Thanks to our skilled technicians, we are among the most recommended companies for commercial single ply roofing in the area. Single ply roofing systems are efficient, lightweight and durable. The installation of single ply roofing systems takes less time and is cost-effective, too. There are three main single ply roofing systems: Thermoplastic Polyolefin (TPO), Poly Vinyl Chloride (PVC) and Ethylene Propylene Diene Monomer (EPDM). 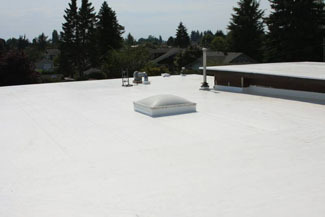 Owing to our ability to accomplish assignments on time and within budget, we are one of the leading companies for single ply roofing systems in South Hill. 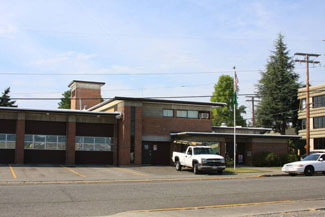 If you wish to hire our services for commercial low slope roofing or commercial single ply roofing systems in South Hill, call Johnson Exteriors, Inc. at (360) 226-2521.